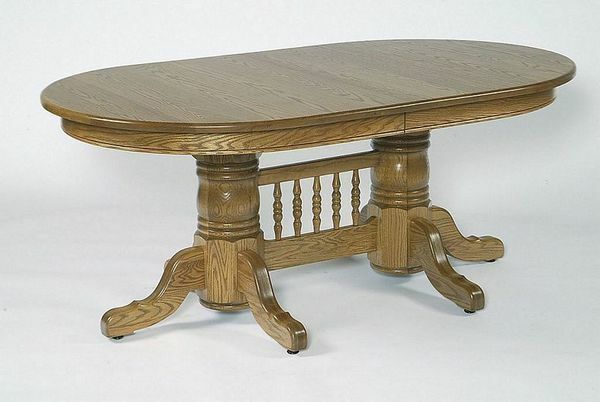 Provide the centerpiece for your dining room with our Amish 72" Double Pedestal Oval Table with Center. Allowing ample leg room with attractive base customization options, this lovely table is ready for holiday banquets, family reunions, and birthday gatherings. Handcrafted here in the U.S.A., we involve you in the design process! Table Sizes: 42" x 72", 44" x 72 & 48"x 72"
Bring home this Oval Double Pedestal for only 30% down. Visit our blog for more information on dining room tables & styles.